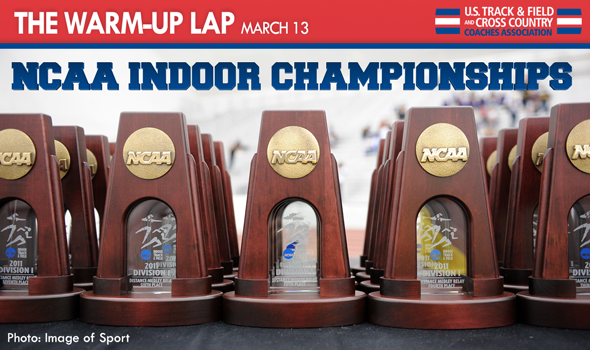 NEW ORLEANS – The finale of the indoor track & field season is here with NCAA Championships weekend. Each of the three NCAA Divisions will be competing this weekend on March 14-15, with numerous compelling team and individual storylines at each meet. The team races were broken down earlier this week with the announcement of the final National Team Computer Rankings in Division I, Division II and Division III, and now The Warm-Up Lap turns its attention to some of the bigger individual storylines at each meet. As you check out each of the previews below, be sure to also visit the USTFCCCA National Championships Central page for further supporting details (heat sheets, schedule, etc.) and information on how to watch each of the meets live on TV or online.